This year’s 2015 NFSA Annual Seminar and North American Fire Sprinkler Expo in Orlando, Florida, boasted four days of topical content and exhibitions from recognized fire sprinkler industry and business experts around the country and Victaulic was proud to be a part of it! The biggest news from the show revolves around Victaulic’s new joint business venture with Bermad, a leading global producer of hydraulic water and air valve technologies. Victaulic Bermad Technologies (VBT), will focus on select markets and applications including commercial fire protection – expanding the Victaulic valve and device offering in U.S. and Canada. 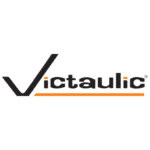 Victaulic is excited to build upon the commitment to quality and innovative technology with this new opportunity! We also had key experts on hand to discuss our ongoing training initiatives including the best-in-class partnership Victaulic has with the United Association (UA) and the new mobile education-training program offered to fire sprinkler fitters. As well as, the Victaulic Construction Piping Services (CPS) group to discuss how they are playing a larger role in the industry – from converting project details into 3D models, to spatial layouts, training and fabrication analysis, CPS is helping fire protection projects become ‘faster from the start’ making each of those steps as efficient as possible. In addition to all the amazing things above we cannot forget about the main attraction – our innovative product solutions for the fire protection industry. This year we featured the VicFlex Flexible Sprinkler Fitting System including the Style AB2 and AB4 Brackets for hard-lid ceilings and the Series AH2 Braided Hose, the Victaulic FireLock Fire-Pac Series 745, the VC-250 Sprinkler Coating for Victaulic FireLock Sprinklers, the FireLock V31 ECLH Sprinkler line, the FireLock Commercial Zone Control Riser Module – Series 747M, and so much more! Get a closer look at our products below in the booth before the chaos of the show started. As always we had a great time at the 2015 NFSA Annual Seminar and North American Fire Sprinkler Expo. Thank you to all that stopped by our booth – we appreciate your interest and intrigue into our business and products. See you all next year!